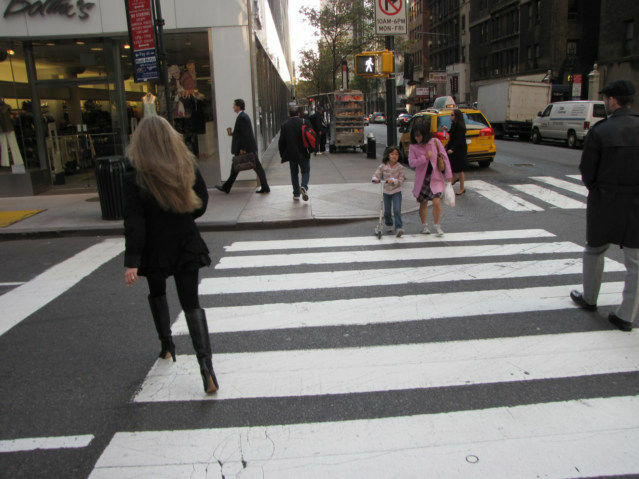 Here are a few glances at the city of New York as seen through the eyes of man from the state of Indiana. 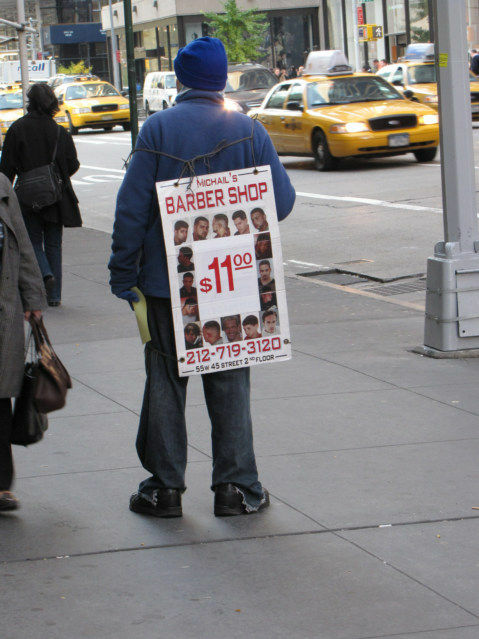 This is a man walking around with a signboard advertising haircuts for 11 Dollars. 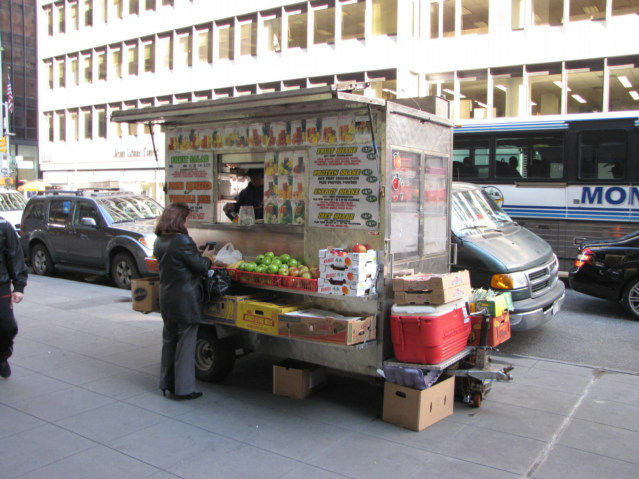 New York City street corner food vender. Cute girl with a fur jacket, it looked real, but I was not able to touch. I believe this is lettuce, but I am still not sure. 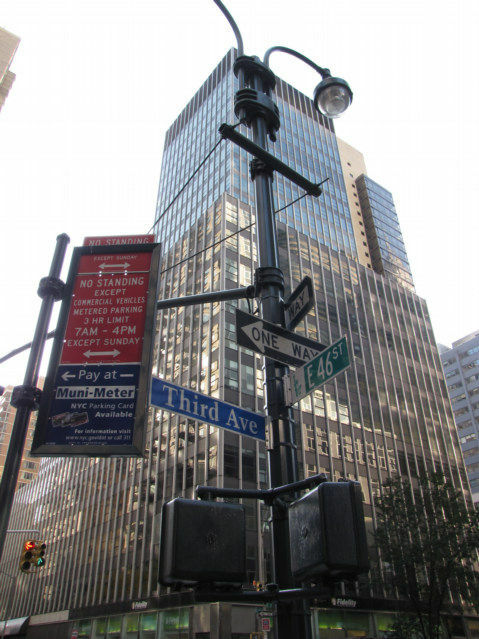 This is Freddy, I stopped and asked him where 3rd Street was and he pointed many blocks away, somehow we readjusted to 3rd Avenue and East 46 Street and he said right ahead. 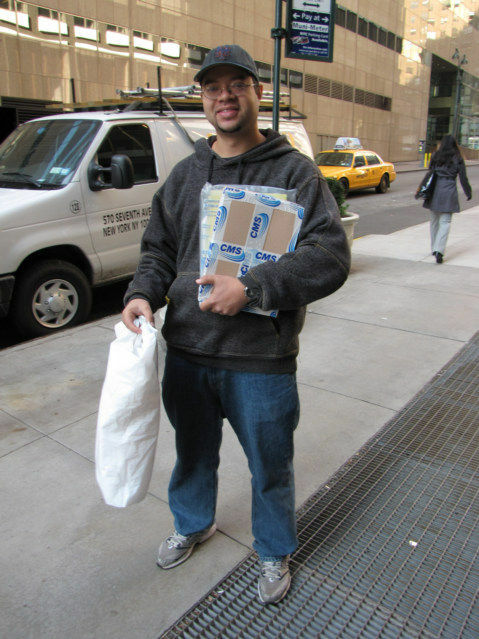 He walks around the downtown areas all day hand delivering package, this is the type of person I need to meet in every country. Hey, I am not from New York, but I think that is the Empire State Building in the distance, the one I see in movies. 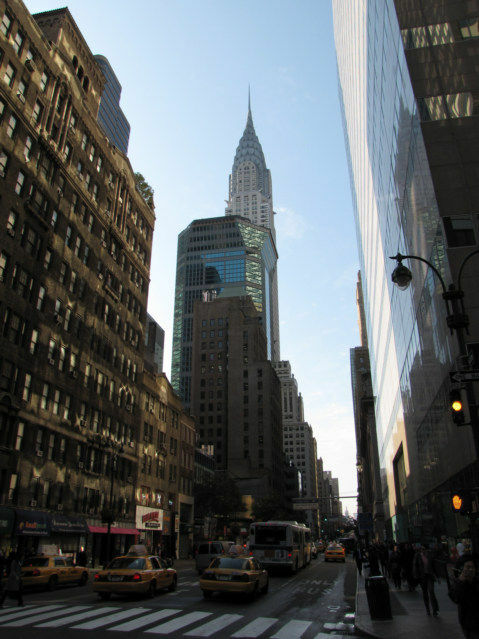 I have arrived at my destination, rather a big world for a man from Indiana, then again after 85 countries, I guess this is city, I know cities. I am there; Christine says to go the 23rd Floor. I am early; I chased down a strong cup of coffee. 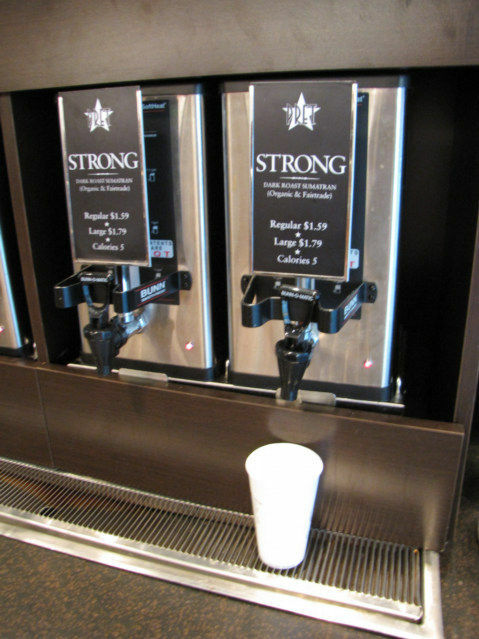 Yes, this feel like my image of New York, an expensive coffee in a paper cup, then running to a meeting in a too tall building full of suits. I guess I forgot my suit. 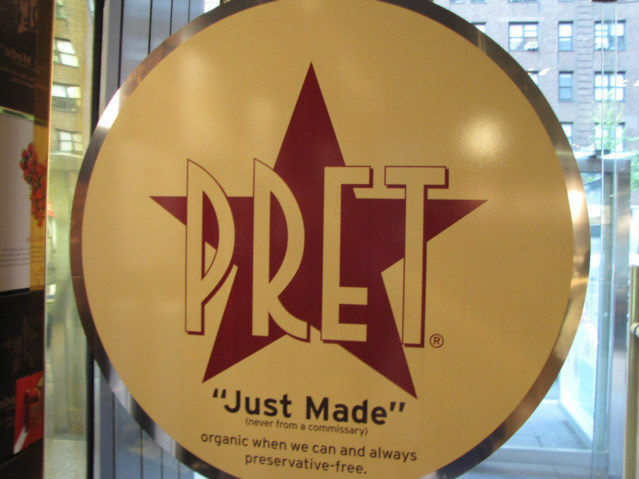 I think “Pret” is a French word, this is good, I am in training for Haiti where they speak French, hmm, I bet this is not the image they are trying to associate with their coffee. Wake up world, it is 5:41 am in the Fort Lauderdale Airport, I somehow manage to sleep in this airport, I am at gate H5 waiting to leave. I like how the guy advertizing haircuts is wearing a hat, thus we cannot see his own haircut. Too funny! Mom, Andy, that is person is correct. That is not lettuce. It is a type of flowering plant called cabbage roses. The first time I saw this plant was in Michigan when we visited your brother. It was so beautifull in the fall when it turned to purple. 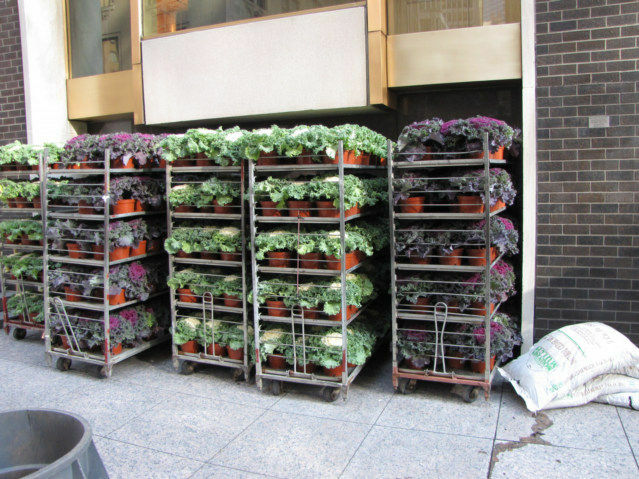 I tried to buy it at the garden shed outside of orland here the next spring with no luck. On fact they acted like they never heard of it. We went to Midland, Michigan to the farmers market and I bought several plants which were pretty all summer at the lake home and lasted to really late in the fall. I was told that Michigan is the big place for them the same as sugar beets is a hefty crop there.